Between #GivingTuesday and New Year’s Eve, it’s prime time for nonprofits to solicit donations, so your physical and virtual mailboxes may be bursting with heartfelt requests for your discretionary income. It’s a good time for individuals who itemize their tax deductions to lower their taxable income with hefty donations. It’s also a good time for nonprofits to swell their budget before their books close; not only do the donations help them operate over the next year, but they also show grant makers that their organization have community support and a measure of financial stability. Sure, a good amount of those individual donations come from rich folks, and proportionally, most rich folks are white. But you’d be surprised how many givers don’t fit that description at all. Back in 2012, the Kellogg Foundation came out with a report that stated “nearly two-thirds of African American households donate to organizations and causes, to the tune of $11 billion each year.” That same report indicated that Black families gave 25 percent more of our income to charities than white families did. So many of us are already practicing ujamaa. Why are we giving more if we don’t have as much to throw around? These studies point to our history of pooling our resources to survive. Back when insurance companies, banks, and other financial institutions didn’t even pretend to give us equal consideration, Black folks gave to mutual aid societies, susu-style clubs (not those pyramid loom thingies, but real circles where everyone gives and receives the same amount), and of course, churches, in order to provide relief and support to one another. These habits have been passed down through our families and continue to influence our values. Speaking of church, that is honestly where most of our charitable donations go. It’s not just us, though. Most of the money donated by Americans of all races goes to churches and faith-based organizations. Some churches flip these donations into significant social services programs – schools, housing, drug treatment, prison ministries, day care centers, and more – for their members and the surrounding community. Others build huge new buildings (or huge building funds). It’s possible to do both, but I will let you take that up with your local pastor and trustee board. Black folks also concentrate on giving to so-called “identity-based” organizations. In other words, nonprofits that specifically focus on Black folks, our modes of expression, and our needs. 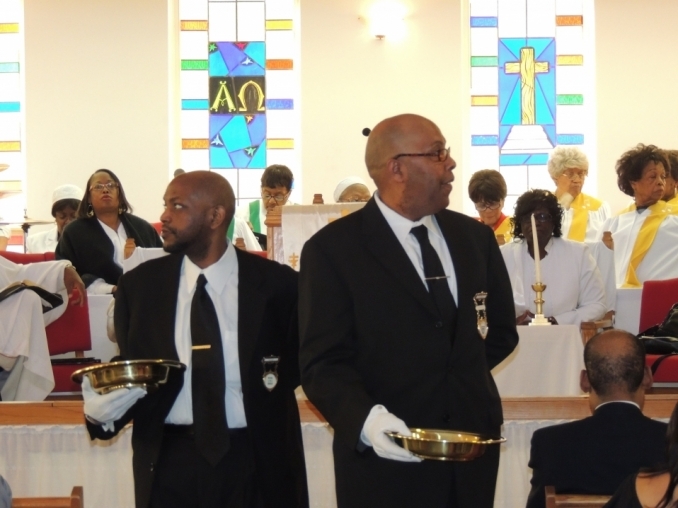 This includes fraternities and sororities, Prince Hall Masons, Eastern Star, and others that use member donations to sponsor scholarships and support other charitable endeavors. Social services tend to be a priority among Black donors, too – we are more likely to give to an after-school program or a homeless shelter than to a bicycle advocacy group or orchestra, although it’s not uncommon for us to support cultural arts, too. Sometimes arts organizations have to couch their mission or activities in the language of “helping” because while people pay top dollar to attend concerts and movies, they might feel a way about donating to organizations that help children and teens – even adults – cultivate their own creative ideas and skills. You may be wondering why we still have so many collective problems and needs to be addressed if Black folks have been giving so much for so long. You definitely wouldn’t be the first person to ask. There are several reasons, including nonprofits having to compete with toxic and damaging values being spread by a well-funded and widespread media machine, changing priorities among supporters (foundations and individuals), and the inherent difficulty people have in making drastic changes in how they’ve learned to live. The first label is usually applied to self-styled “Black leaders” who claim to be working on behalf of “underserved” and “at-risk” populations, but they are making good money to do very little that actually benefits the people who well-meaning donors and grant makers want to help. The second label applies to the industry of nonprofits and non-governmental organizations (internationally referred to as NGOs) that conduct huge PR campaigns but spend most of that money on salaries, travel, and “professional development” while, once again, the supposed beneficiaries continue to suffer. In international situations, there is often a different pay scale for “locals” vs. Westerners as well. There are definitely some folks looking to capitalize off nonprofit work without doing much of anything – these types of people exist in for-profit businesses and in government, too. So do thieves who siphon off a little or a lot of the money entrusted to their organization for personal gain. The issue of compensation is a bit more complicated, though. When you give your hard-earned money to a cause, it’s only natural to want that money to go to the people who are in need. On the other hand, some of the challenges vulnerable people face would benefit more in the long run from a skilled helper than from throwing money at them in the short term. It’s best when the helper considers his or her work to be a labor of love, but how effective would you be if you busted your behind for a poverty wage? The bottom line for a nonprofit is impact. What is a given organization trying to accomplish in the community, and how close have they come to meeting that mark? Are they using their resources wisely to that end? If they have paid staff, are they bringing on well-qualified people who are committed to the vision and more importantly, to the people they are serving? Considering the depth of problems that our most vulnerable community members face, is an all-volunteer squad going to have the knowledge, experience, and time to devote to helping those community members implement solutions? Unpaid or underpaid nonprofit positions are a big reason why the face of nonprofits tends to be young and white – more of their families can afford to support them while they build their work experience and professional networks. 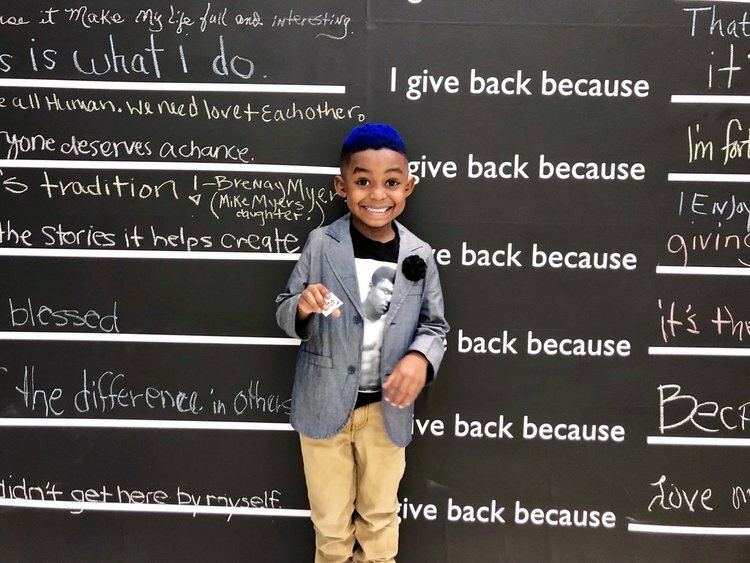 This photo comes from the website for Black Philanthropy Month, an annual event held every August to celebrate and stimulate charitable giving among people of African descent. I surely can’t tell you how to spend your money. In case you feel moved to make a last-minute contribution or add personal philanthropy to your vision board for 2019, here are a few things to consider. Do Your Homework. Annual reports and websites are a good tool to learn about an organization’s impact, but keep in mind that these are basically PR pieces, not an independent analysis. Word-of-mouth can also help you evaluate an organization, but that has a caveat also: nothing travels faster than rumors, inaccurate information, and outright lies. So if you have time, do a little digging before you believe the first thing you hear about an organization. Charity Begins at Home. There are people in need and worthy causes to support all over the world, but if you are just getting started with giving, you may feel better investing in your local community or one nearby. You’ll be able to see your impact more easily and know that you are making your area stronger. What do you care about? Foster kids? Senior citizens? Animals? Food access? Refugees? Homelessness? Ask around to find out if anyone is working on these issues in your local area. Once you get more comfortable, you can consider national or international causes. Think of the Little Guys (and Girls). Name recognition is useful, but it also tends to direct donations to organizations that have enough money to pay for a slick annual report, fancy website, and public relations machine. As you do your homework, don’t automatically dismiss small but mighty organizations that are doing awesome work without tons of fanfare. If it’s not too tacky or intrusive, you might try to find out from the kind of people the organization serves. For example, who do returning citizens trust to help them get back on their feet again? What organizations have helped you or people who know and love in the past? Consider Becoming a Recurring Donor. Lump sums are wonderful, but most of us enjoy the security of knowing we will have a certain amount of money coming to us on a regular basis. A monthly or quarterly pledge of even $25 or $50 will add up, helping your chosen organization become more sustainable and splitting your contribution into a more manageable monthly sum. Cash Is Not the Only Option. While researching this article, I learned that people donate stocks and other securities, even cryptocurrency to their favorite charities. Resources like these allow an organization to generate income over a longer period of time. There’s also in-kind donations, where you give physical property such as the computer you’re about to replace, refreshments for their beneficiaries (you’d be surprised how many grants do not pay for food), or something you never thought of but could easily provide. Pro-tip: ask the nonprofit what kind of goods they need before you unload your “junk” on them. Finally, there’s your time and expertise. We are all familiar with volunteering, but it’s not limited to a clean-up project or reading to kids. Your professional expertise in publicity, event planning, or some other field might be just the help a nonprofit needs but doesn’t have the budget to purchase. Engage in 21st Century Fundraising. In modern times, GoFundMe, Kickstarter, Facebook Donations, and other social media platforms are being used to facilitate individual giving. The share button lets you easily challenge (or “encourage”) your friends and family to match your contribution. A few months ago, I wrote about the co-founder of the Black Skillet Fund, which is an innovative take on pitch contests in St. Louis. For the price of $10, donors enjoy a soul food meal and get to vote on which creative project will take home the money that has been collected (minus the cost of the food). This is a great opportunity for people who don’t itemize their deductions because unlike grants or other traditional forms of fundraising, worthy causes don’t need the IRS’s 501(c)(3) seal of approval to collect donations. Scammers do exist though, so please do your homework before swiping or typing your credit card info. That’s all I’ve got. Thanks for riding with me and my uber-long think pieces this year. I wish each of you Black Unicorns abundance of the heart and wallet in 2019, with plenty of overflow to share! Harambee!